Welcome to another week on Rewards Canada! 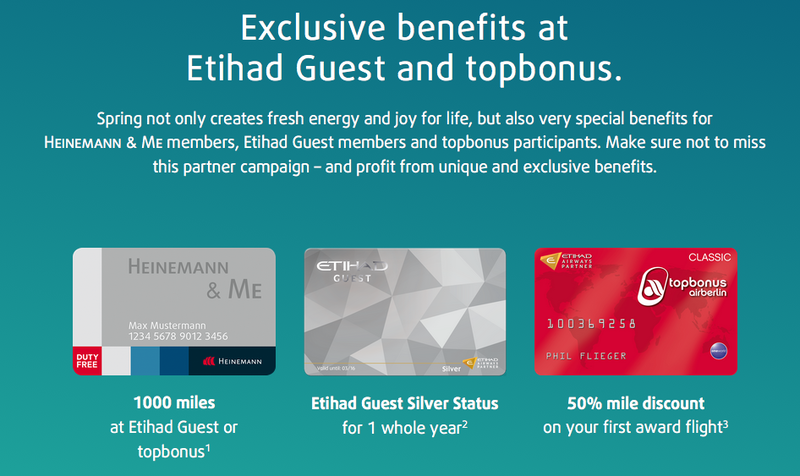 Over on the Frequent Flyer Bonuses blog we detail the newest Heinemann & Me offer for free miles. We have talked about this recurring offer in the past (we received 1,000 free miles from it a few years ago) but now it has been taken to a new level. If you have not joined Etihad Guest yet and are planning a flight with Etihad, whether it is out of Toronto, the U.S. or anywhere else worldwide, join now via this offer and you'll get Silver Elite status with just one return economy class flight or a one way flight in business or first class. Find out more here!! - Triple Starpoints and up to 20% off for stays at the SLS Las Vegas. More... Until ?